The Minicom 0SU60004 is a DX IP User Unit for the DX matrix system. The Minicom DX system gives you a highly secure, integrated, flexible and supremely scalable solution for 24x7 BIOS-level control and management of high-density mission critical server environments. 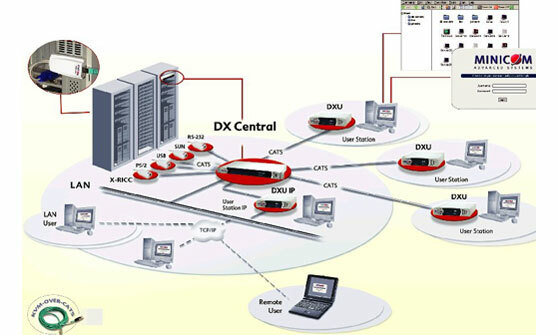 The DXU IP user unit enables remote digital KVM/IP capability from anywhere in the world over the LAN or WAN supporting 128-bit SSL encryption.